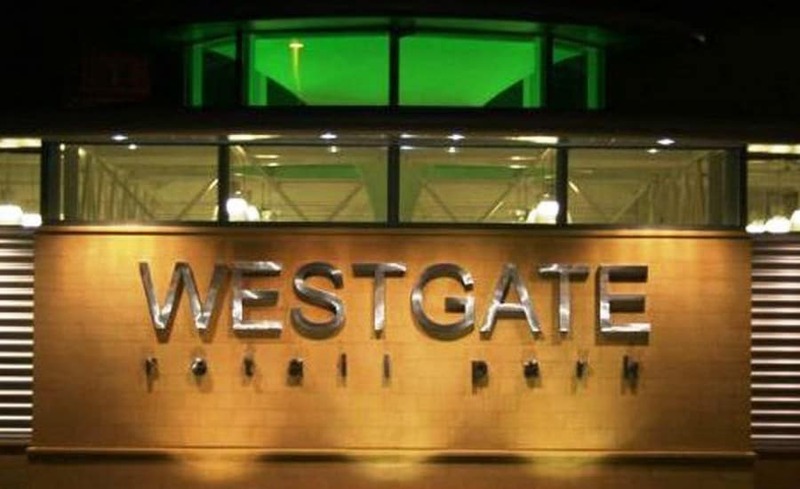 As part of the development of the 215 year old site, which once housed the 16th century St Bartholomews hospital, as well as a later almshouse of the same name, Westgate Retail Parks phase 2 development entails a landmark structure dubbed the Lighthouse. The Lighthouse is an atrium that caps the main building, and is so-named because at night its LED light feature transmits an array of dazzling colours into the night sky. During the day the 7m tall, 6m wide fabric cone serves to filter and reflect natural light through the atrium and into the shopping centre. The fine mesh serves as an excellent light diffuser and allowed the conic structure to be created with a flawlessly smooth finish an excellent surface to light! 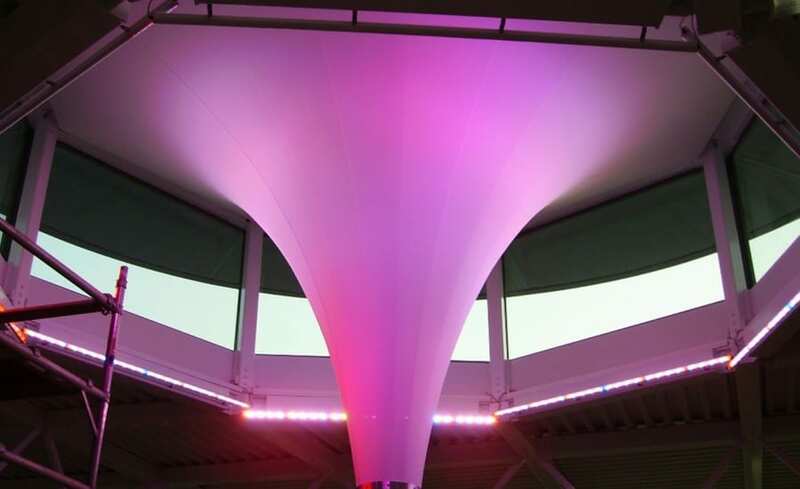 Within the perimeter of the atrium, sixteen lengths of colour-changing LEDs are fitted. These are controlled by a single LPC1 Pharos DMX controller, which runs a pre-set system of light changes each day and night. 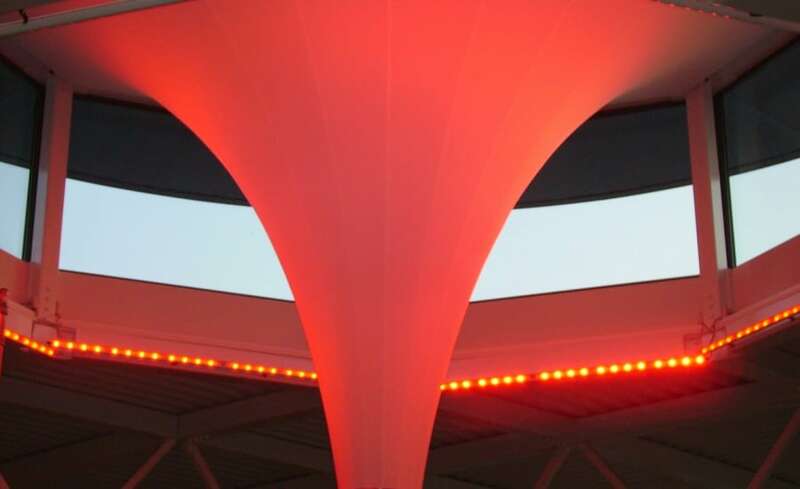 The lighthouse has now become an iconic part of the Gloucester landscape, displaying the exciting capabilities of lighting control and the potential of combining lighting and tensile fabric within architecture.